It is with a heavy heart that I write about the passing of a great friend and teammate. 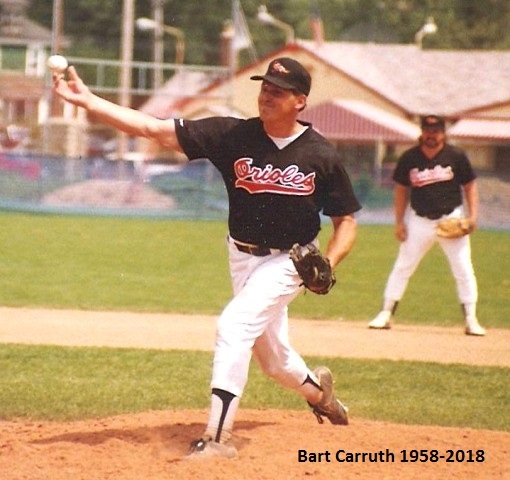 Bart Carruth was the co-founder of the Chautauqua MSBL here in Western New York back in 1992. He was a member of our original Yankees team all those years ago. Bart was the ace of our pitching staff, as well as our best hitter. 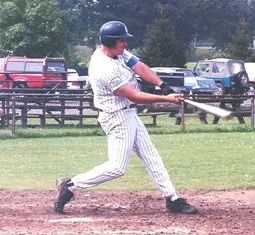 Over the next twenty-five years, we played together in numerous MSBL regional tournaments as well as the World Series. His easy-going manner and sense of humor belied his fierce competitive nature. Bart was an amazing teammate and friend. Shortly after his sixtieth birthday two weeks ago he suffered a massive heart attack. It is always difficult losing such a tremendous member of our baseball family. Rest in peace my good friend.